VMware Senior Vice President and General Manager for Cloud Native Applications Paul Fazzone. What are the ramifications of managing open source code primarily through a commercial software package or service? Should your company only use one code repository? These are the questions that were asked of 480 users of code repositories participating in a survey about open source. 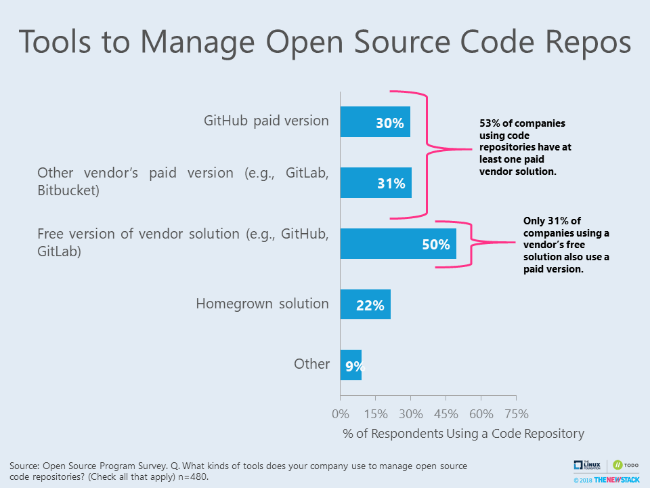 When asked about how they manage open source code, half said they use a free, vendor-provided solution like GitHub, but 53 percent also pay for code repository software or services. Many people also use homegrown setups, usually based git. Among those citing a homegrown system, a whopping 60 percent also cited another offering type in use. It appears that vendor solutions are often cobbled together with two or more other version control systems, some of which may be open source like Apache Subversion (SVN). The use of multiple code repos is more prevalent at large companies with over 10,000 employees. This group cited 2.6 types of code repos used as opposed to the study average of 1.4. In this, The New Stack Makers podcast, Michael Neale, CloudBees co-founder and engineering manager, and James Strachan, chief architect at CloudBees, discuss how Kubernetes has changed CI/CD, evolving workflows such as GitOps, and how CloudBees is working to improve the developer experience for application deployments on top of Kubernetes. Check out the site next Monday, for this is when we kick off a new series of weekly articles on Cloud Native DevOps. The term 'DevOps' comes from combining two different words, "development" and "operations." And just like its name, DevOps seeks to combine two different sets of IT practices — software development and software operations, the work of the system administrator. The idea is to speed the development process, eliminate the wait-time between the development of the software and when it goes into production. And, in terms of speed, you can’t go wrong with cloud native computing. 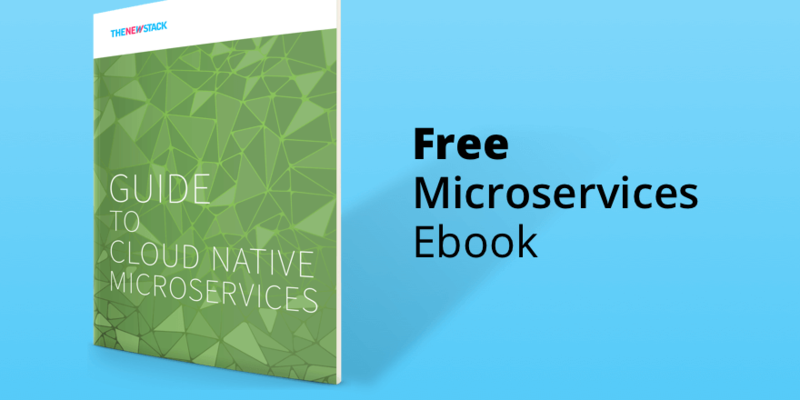 Cloud native computing uses containers, service meshes, microservices, immutable infrastructure and declarative APIs to bind systems into a loosely-coupled architecture for maximum flexibility and development agility. "Cloud native technologies are used to develop applications built with services packaged in containers, deployed as microservices and managed on elastic infrastructure through agile DevOps processes and continuous delivery workflows," writes TNS analyst Janakiram MSV, in a recent TNS article. And starting next week, we will show you how to do DevOps, the Cloud Native way. Be sure to check it out. Fabric is an insurance startup designed for new parents, one that offers a free will service and “simple, fast accident and life insurance.” Both products are completely provided using serverless technologies. As an early stage startup, the company needed the ability to execute quickly and with minimal complexity. One benefit: Getting the product in customer’s hands faster because the code on the backend is focused on the business logic. In a contributed piece, Stackery’s Sam Goldstein looks at the issue of cold starts, or the additional amount of time it takes for a serverless service to initiate your code if it hasn’t been run in a while. In some cases, this difference can be extreme: a simple Lambda that responds in under 20ms can take 800ms to respond if it’s been idle for more than an hour. This can be problematic if the function provides a user-facing service that may feel sluggish to the end user. Goldstein looks at things you can do to mitigate this problem, including switching the programming language or changing memory settings. In this contributed post, Turbonomics’ Eva Tuczai discusses what happens after your organization starts migrating towards containers. Sure, they solve many developer woes and save money on the operations side, but once they are used in production, the organization has to take additional steps to maintain control. It’s critical to have foresight into the complexities and understand all the layers of deploying containers. Tuczai talks about how to develop some service level objectives (SLOs) for your container ops. 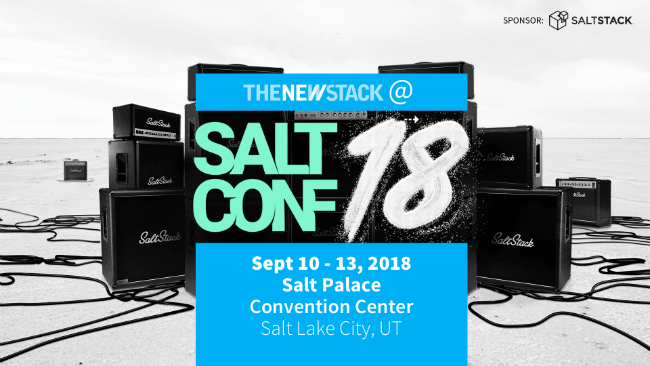 SaltConf18 is a gathering to help systems administrators, cloud architects, site reliability engineers, and IT managers more effectively manage and secure data center infrastructure using SaltStack event-driven automation. It features two days of pre-conference training followed by two days of keynotes, breakout sessions, and training from SaltStack customers and users, core engineers, and partners. Register Now!